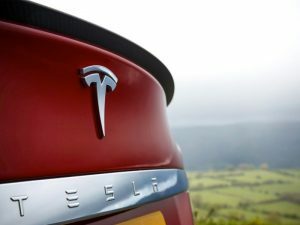 Tesla is to implement a system of Supercharger credits, replacing the current free set-up. A new system of Supercharger credits will replace the current free set-up. The changes will not impact current owners. Although CEO Elon Musk had previously said he preferred not to charge for use of the network and build the cost into the vehicles, the electric vehicle specialist has now said it’s introducing a change “that allows us to reinvest in the network, accelerate its growth and bring all owners, current and future, the best Supercharging experience”. Full details of the scheme will be released later this year but for Teslas ordered after January 1, 2017, 400 kWh of free Supercharging credits (roughly 1,000 miles) will be included annually. Further Supercharging beyond that will attract a small fee that will be charged incrementally and said to cost less than the price of filling up a comparable petrol car. The carmaker commented that “while prices may fluctuate over time and vary regionally based on the cost of electricity, our Supercharger Network will never be a profit centre”. The changes will not impact current owners or any new Teslas ordered before 1 January 2017, as long as delivery is taken before 1 April 2017.